Testimonials - From the Entire Education Community. Click Here. Could It Use A Boost ?" "If You Want To See How School Themes Can Help Your School Spirit Soar, You Need To Read This.."
Does it frustrate you that your School Spirit is not quite what it could be? Why is it that some school's "spirit" soars so easily, while you try everything possible and get barely any results? 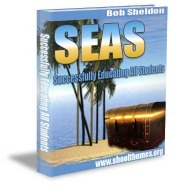 Bob Sheldon book to increase student/staff unity and school spirit. You've tried things like school dances, fundraisers, Bon-Fires, PTA Rallies, Picnics, Car Washes, Spirit Week Celebrations, Homecoming, and many other ideas. It didn't seem to matter what tweak you tried, your school spirit stayed stubbornly moderate or low. But you just knew there was something that was missing. And I want to share what I have found to be the missing piece. Anthony Robbins said, "You never get a second chance to make a good first impression". That phrase hit home like a laser fired bullet! Could it be that we don't create a good first impression with our students, parents, and even teachers? What is it do you think that creates the first impression students get of your school? It isn't the cafeteria, gym, library, principal's office, football field or any of the rest of those places you might think are so vital to feelings of coziness or comfortableness at school. It's an element in your school environment which is much more fundamental. And, I have to be honest here, it was something which frankly most teachers neglect. Want to know what I discovered? If you could have just one documented idea about how to turn your school into an unstoppable school spirit machine, this is it. I dare you to read this entire page and not change the way you promote your school spirit. 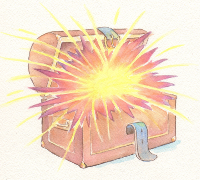 "Themes provide a fun, visual way to recognize student and staff achievements. Themes can provide a focus for staff as they develop cross curriculum integrated lessons. This is exactly what we needed!" 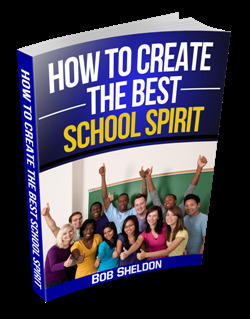 ... You are about to find out the most often overlooked truth about how to create soaring school spirit. -- it's the ability to select your theme team correctly to lead your school spirit promotions. That's because the single most important factor of any school spirit initiative is.... a theme team that inspires and motivates. Listen closely. You could spend a lot of time getting your "key" staff members to pick fellow teachers and arrange fabulous support and assistance groups. You could have theme presentation competitions and votes thinking you've nailed the right theme and are ready to start promoting it like crazy. But all the hoopla in the world isn't going to do you much good if the theme team you've chosen causes your students to find other things to do (within seconds). And they will if you've got it wrong!! Many principals or administrators focus on relationsips between themselves and other teachers when looking for their team leader. Actually it might be that links among teammates (teachers) matter most. Find your undisclosed leaders. Bolster their teaming bonds. Sometimes the best leaders are not the best teachers so try to find leaders who have the respect of the team. It's a chemistry of victory that will help you build school spirit. And... you'll want to recognize, protect and encourage this chemistry ! With the wrong members on your theme team, you've lost your chance to create a good first impression! We all know your school is a little different... you have special school colors... you have special logos... and nicknames or motto's. You have a special recognized culture that sets you apart from other schools. Help the team use your school's unique qualities. Add the team's creative juices to a few school theme exercises and WOW, stand back and watch what happens to your school spirit. You'll be ready to achieve a double-digit increase in school spirit and reap immeasurable rewards in student motivation and inspiration efforts. "Through themes, staff can extend academic and "social" lessons as many themes focus on real world learning and character education. Themes focus and unify staff; create positive building climate; provide roadmaps for integrated lessons; can be graphically developed and used on all school communications; provide opportunities for extended learning. Themes give schools a foundation for building a positive school climate !" What theme idea did we use last? Who will pick our new theme and be responsible for promoting it? Is this more trouble than it's worth? What are the benefits of using a school-theme? How's our budget - what can we afford? WOW, we've got a lot to do... better get started ! If you understand what emotions school themes can trigger for your surrounding community, staff and students, you can make your school spirit much more effective. In other words, you're giving your school (and students) a far better chance to excel. Now that you know the right theme team members automatically trigger feelings and emotions in all of us, and that there's nothing we can do about it, you need to use this to your school's advantage. Imagine the leverage you will have if you know the exact Team Leader you can select to give your school, staff and students the most favorable "first impression" of your school environment? By knowing which team members to choose, you can influence your school environment positively. You can put everyone in a favorable state of mind, one in which they are more likely to achieve education success. If this is something you've never considered before, you're not alone. The psychological impact of effective team leadership is probably the most overlooked topic in promoting school spirit. When you think about it, this lack of attention is really strange. Everybody in the business world knows it, the use of effective leaders in sales and marketing is absolutely fundamental. It's why companies spend millions on product and promotion design. And yet, when planning school theme ideas, if you're like most of us, you probably give the thought of selecting the very best theme team a tiny amount of thought. "The key element is total staff participation... When you have staff buy in... school themes... become the catalysts that ignite the inspiration fuse. However without the commitment of the entire staff, themes are just ...wishes in the wind... Excitement is contagious... effective school wide themes inspire, motivate, and excite staff and students. 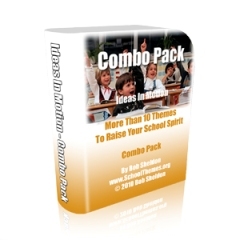 School Themes... what a powerful way to manage school spirit!" It will pay you great dividends to find out how to use School Themes and get your best Theme Team working to make your school spirit soar. You can get all the valuable information you need about the effective use of School Themes to promote your school spirit. 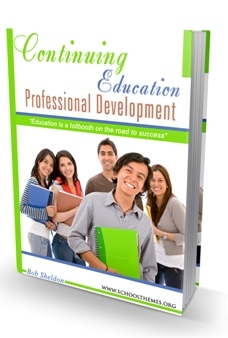 Professional Development - Continuing Education is a powerful collaboration resource that instantly provides access to workshop, conference, education and training opportunities. With this resource tool in your library you don't have to spend hours searching for education information. Simply use the professional development and continuing education tools to meet your state and district education requirements. You can assess all available opportunities without having to pay or commit to anything. With Professional Development - Continuing Education, you can unleash the full potential of your training opportunities and career choices. 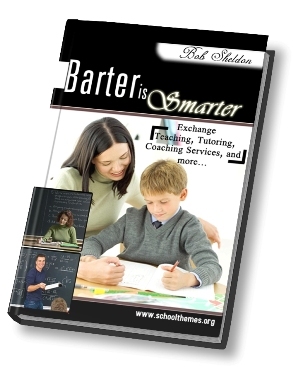 If your teaching, tutoring, coaching or administrative abilities have real value, Keys To Smart Bartering enables you to instantly exchange your special services. This key information helps identify and lead you to those who desire your services in exchange for cash or other valuable services you may need performed. Keys To Smart Bartering allows you to use your time creatively, supporting completion of those eye-catching special projects in half the time... because you've earned extra cash. "School Themes Combo Pack" is only $47 - a tiny investment for the potential payback! For $47, you get the key in how to use school themes so that every single theme team member you select from now on has a better chance to help make your school spirit soar. You've not seen these education focused, character building, school spirit promotion themes anywhere else. IMPORTANT ! As soon as the payment has been approved, you will be presented with a button that says Return to School Spirit. Please choose that button ! Then our Thank You notice will appear. Our Thank You notice contains a hotlink (please right click on it) and download your theme Combo Pack plus FREE bonuses immediately. Although it's common for one school theme to last a whole year... some schools enjoy competition among classrooms or grade levels. As an example... our theme titles are highlighted and your 10th graders... might be STARS while the 11th graders become CHAMPIONS and seniors show POWER. Thus, our theme shop offers an opportunity to combine the best Theme Combo's to promote your school spirit. Pick your theme team today then shop for your theme!! In some cases your school District may decide to purchase multiple themes and distribute them throughout the school system. And PTA or PTO groups often shop to contribute to school spirt theme purchases through their fundraising efforts. So whether you'll shop for single themes, or shop for combo's... click below and they'll arrive in your inbox at nearly the speed of light. No credit card account ? No problem ! If you don't have access to a credit card account or prefer not to conduct credit card business online... no problem. Use the contact us link to tell us which theme you like and we'll send an invoice by email. You can return a copy of that invoice with your check and upon confirmation of payment... at nearly the speed of light... your theme will arrive as an email attachment. Please come SHOP with us again... as we often add new items to choose from.